The easiest way to “Make Someone’s Day” is to let the staff at The Blowout Co. tend to their tresses. Buy your mom, daughter, wife, bestie, or coworker the gift of great hair. Our gift cards are also good for the purchase of all products sold in Blowout Co. locations, including jewelry. 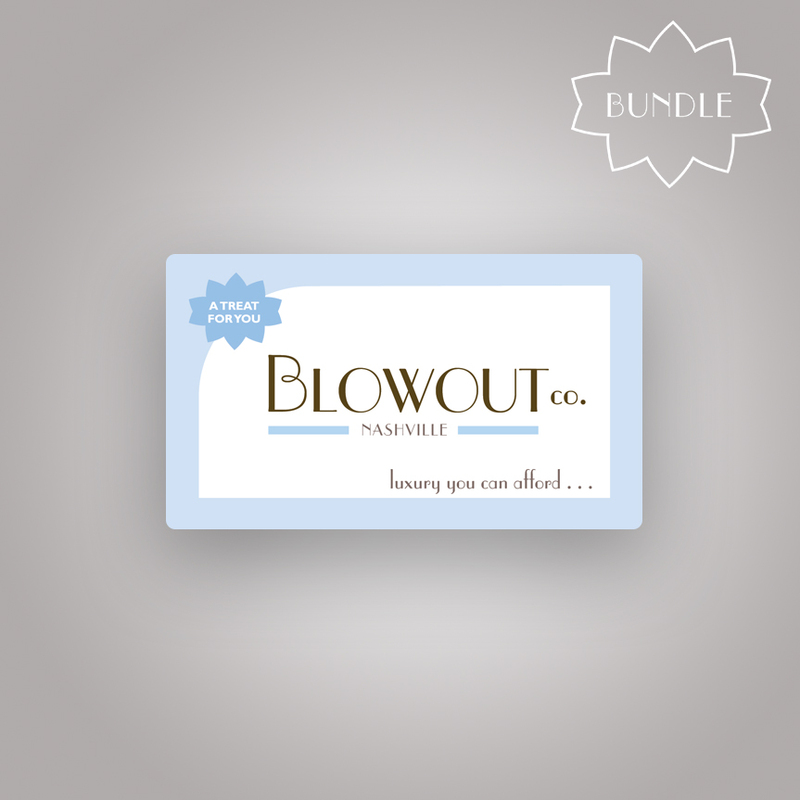 Blowout Co. gift cards are redeemable in any Blowout Co. location, but not for online purchases. If you really want to be a “Daymaker”, purchase a gift card in the amount of one of our amazing bundle deals!